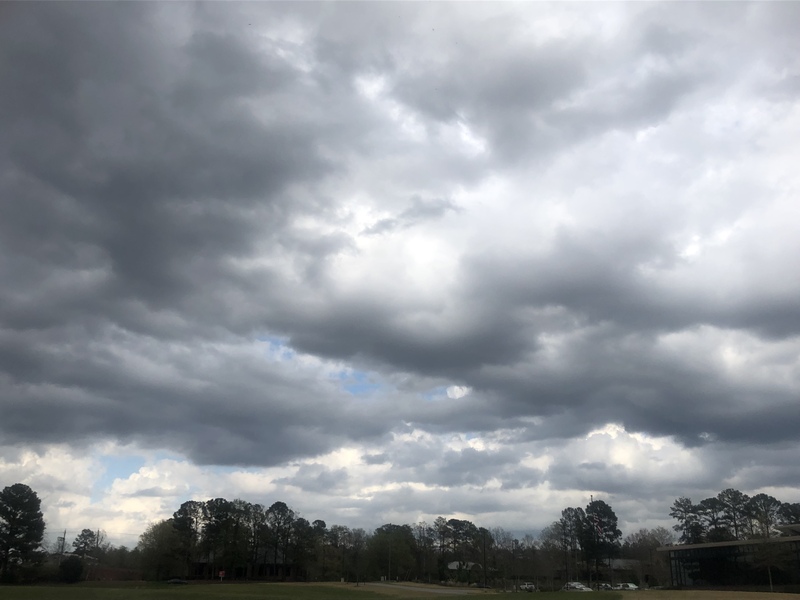 It’s in the 70s here in Montgomery as well, matter of fact it’s beautiful outside, doesn’t even feel like severe weather is on the way. Upper 60s with a cool breeze in Shelby County. Sure doesn’t feel like a typical nasty weather day. Any sounding results from the 2pm BMX launch? Prefrontal boundary firing up with moderate activity in a line from Scooba, Ms. stretching to Gadsen, Al. No severe reports and the latest BMX sounding looks a little anemic to me relative to severe weather (as was predicted). But some isolated storms with hail still likely. Current storms in Chelsea & West Blocton likely have hail. Allow me to modify my last post. lol. A number of communities/cities will likely get hail. Several of thes places could get hail in the 1" + size. 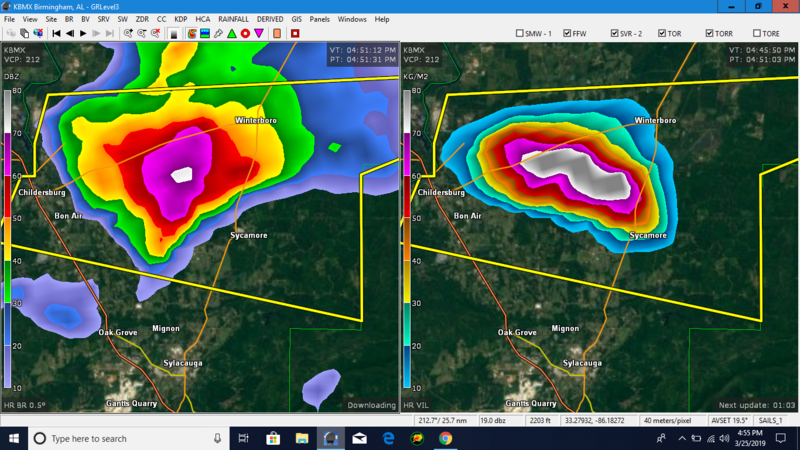 Storms with hail are really beginning to fire up in Bama at 4pm CST). Eutaw (Al) current has a big storm w/ decent-size hail per GRLevel 3. Scooba, Ms. & several other places also. Hail covering the ground on Brett Adairs feed on the Childersburg storm. I think north of I 20 might escape this one. There is some serious hail with that storm. I get off in two minutes, and I’m heading towards it. Really impressive cells today. This spring has really ramped it up. Those are some legit hailers for sure. Not a drop of rain here in Pelham!! Been a nice day here, wouldn't have known anything was going on had I not been paying attention to threads about today's parameters.